Whether you are looking for a local moving company, long distance moving company or searching for moving company reviews you can trust, rest assured you have come to the right place. We have been in operation since 1989. 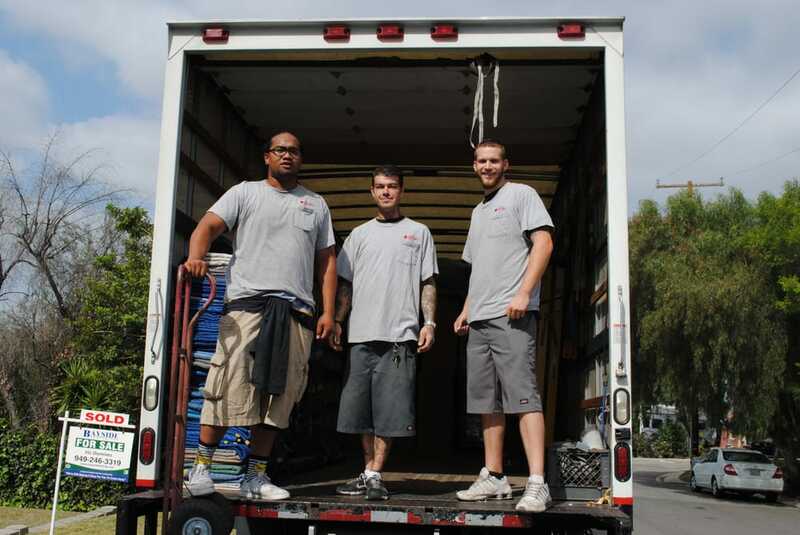 With 25 years of experience, we are equipped to handle any moving services you require. We pride ourselves on positive reviews. 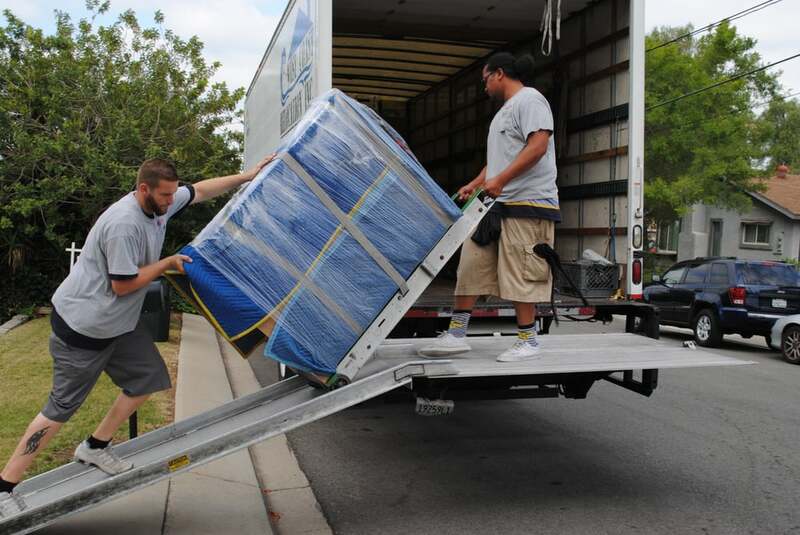 We are always top rated among Moving Companies in all of Southern California. We are the Best Southern California Movers that will hustle and give you great value for your money. Guaranteed satisfaction or we will adjust the bill accordingly. Local moving services from our Movers local to your specific area. 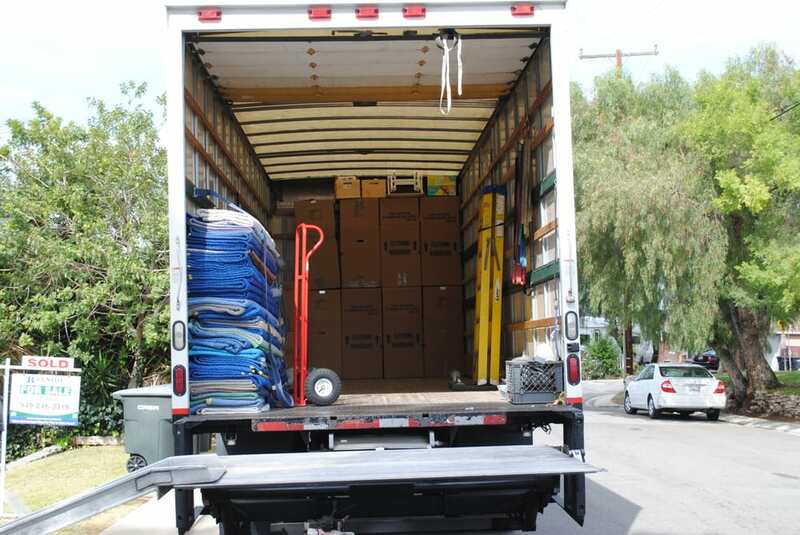 We service all of Southern California with offices in Placentia, Anaheim, Long Beach, and San Diego and can be to you on very short notice.We never broker out our customers moves to other moving companies, contractors or use day labors. Every move done in house by our employees.We are proud to offer our expert services with: Full packing, moving and storage services offered at affordable discount rates. Established in 1989. 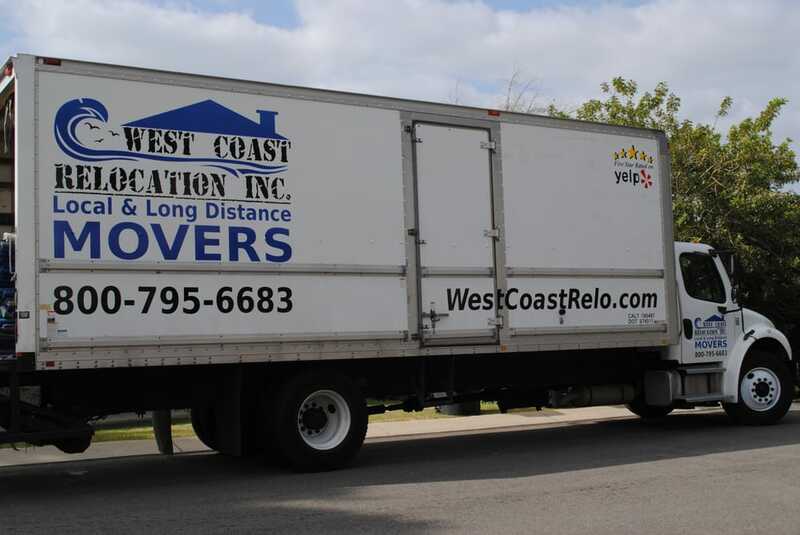 West Coast Relocation, Inc. Southern California Residential Expert Movers providing full service local and long distance moving and storage.The company operates in a 10,000 square foot warehouse, with five over the road tractor trailers, four full time local bobtail trucks, and storage capacity for 330,000 lbs of personal household goods. Local and long distance moving experts with over 20 year's industry knowledge. No hidden charges or fees.Efficient large quick loading moving trucks.Professional container packing and crating service.Full service Storage. Low cost Moving Boxes. Pads, straps, dollies, and ramps included in price.Crating service for glass and marble tops or any other fragile pieces.Carpet and Floor protection. Stretch wrapping of sofas. Free use of wardrobes on local moves.One truck one customer. Load and go on your schedule.West Coast Relocation, Inc. is licensed with the Public Utilities Commission. My favorite movers I've ever had. Fred and Jerry handled both of my moves. They were the best!! Hard workers, job well done, time efficient and very pleasant to deal with. My first move with them went so well I hired them again for my most recent. And the prices are affordable. Paul the set up guy was easy to work with too. This was the worst moving service I've ever dealt with. They broke my speakers to my television. They weren't prompt and they were very slow. They say they're going to charge you 89 an hour but they drag and then charge you double time just for delivery. Worst experience ever. I love this company! I had a move from Torrance CA to Austin, TX and these guys were the best priced, the most caring, and executed flawlessly. Brian and his team of packers swept through my 3 bedroom home and were very careful with all my belongings. In Austin, Brian and Alano delivered on the day I requested too. I did get quotes from big movers too, but they were more expensive and wanted to give a spread of dates for delivery. These guys were focused on my requirements and did an impeccable job. Thanks Team West Coast Relocation! Let's see, where to begin? Should I start with details about all the items that were damaged? Smashed? Destroyed? Should I start with details about how our box of files was stuffed into a TRASH box on their truck? Perhaps I should start by talking about how our furniture was carelessly stacked on top of someone else's items and arrived DIRTY.No. I think I will start by saying that after Paul got photographs from his own movers, the day our items arrived at our new home and they were damaged, smashed, destroyed, misplaced and dirty, it took Paul nearly two weeks to answer our emails.Nice. Real nice. Classy, too....Then, after about a month of going back and forth, with weeks between responses, Paul offers us a little over $100.00 to compensate us for nearly $2000.00, yes TWO THOUSAND DOLLARS IN DAMAGED, SMASHED, DESTROYED AND DIRTY belongings.What can you say about such excellent services, except that if I had a broken back, two broken legs, two broken arms and could only drag myself along the ground using my teeth, I would rather move my own items than hire these clowns again.Never. NEVER EVER EVER EVER EVER AGAIN. Further more, I have told pretty much everyone I know never to use these clowns. West coast relocation movers were awesome with my move ! They were timely and took great consideration with Moms furnishings and belongings. Hard working Big D and Little D exceeded my expectations and I'm grateful for their hard work and professionalism. I highly recommend west coast relocation movers and have Big D the lead mover take care of your next move !